Mugi | Restaurants of the World Unite! People know me to be quite tough. I have a bit of a reputation. Let’s just say tramps don’t want to mess with me in GTA V because I’m quite handy with a golf club. And Nazis/innocent bystanders don’t mess with me in Call of Duty. And Princess Peach doesn’t mess with me in Mario Kart 7. This hardnut persona translates seamlessly into the people world and means I can march fearlessly into even the lariest KFCs on Friday night, though I’m always careful to keep one hand tightly curled around my trusty (if unreliable) can of pepper spray. 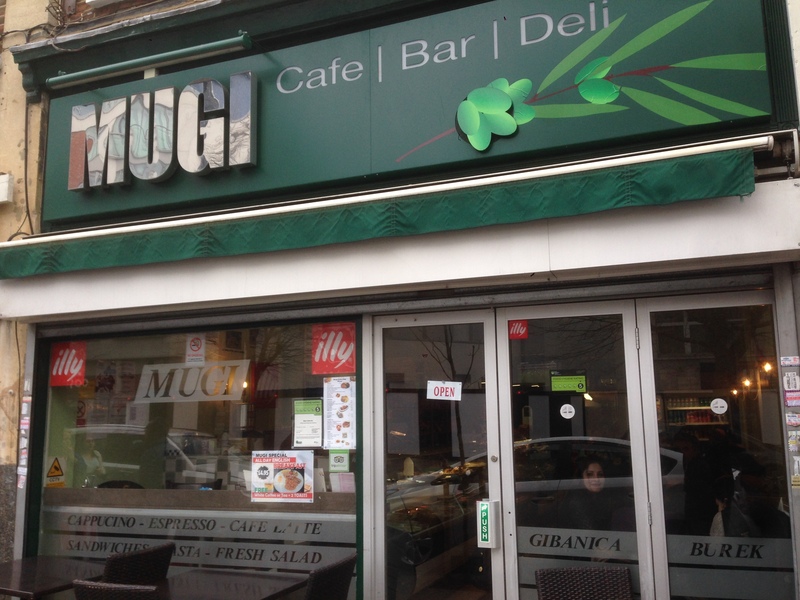 I was bristling with ill demeanour as I approached Mugi (https://mugicoffeebar.wordpress.com/) in Ealing as Serbians also have a reputation for toughness. And I was right to be in a way as the door was a little stiff so I had to give it a shove. 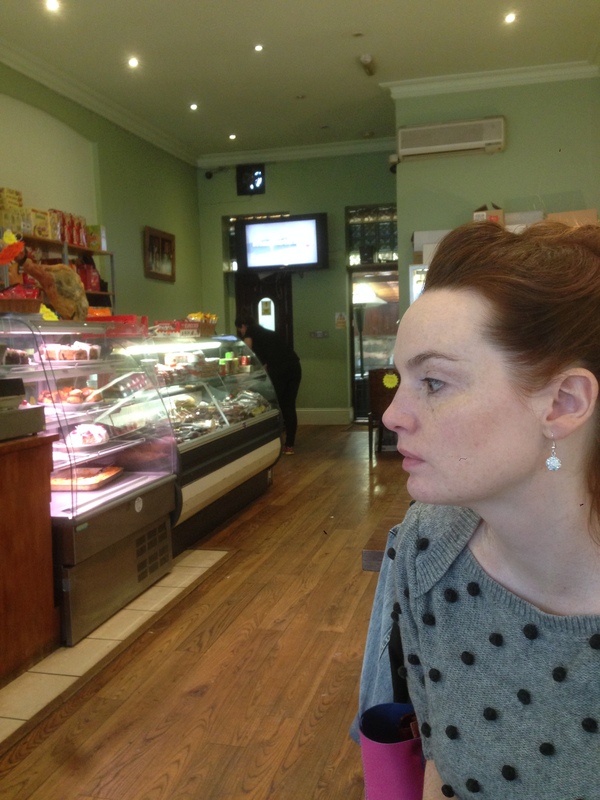 But once inside, we were warmly ignored as it was quite busy so we picked out a table and waited to be served. As well as being a Serbian restaurant, it is also a Serbian deli and a greasy spoon serving a variety of manual labourers. There was a bewildering array of items on offer, not all of which appeared on the menu. When we asked the friendly waitress pointed us at the authentic stuff. 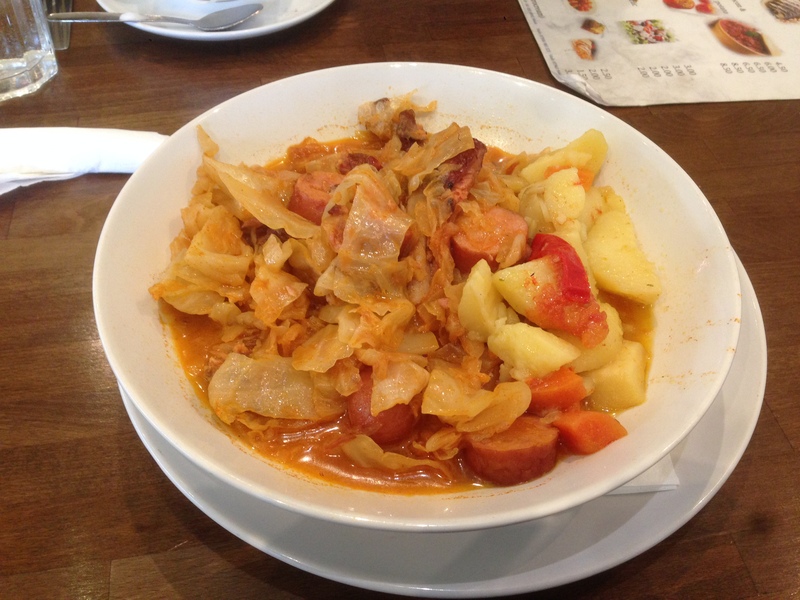 Mrs Del Monte opted for the roast pork with chips and I chose Podvarak, a sauerkraut, sausage and pork rib stew. I had to ask for the Podvarak to be reheated as it arrived tepid, but once it was core-of-the-sun-scalding it went down a treat. £18 with drinks (no booze) and I’d definitely go back if I can brave Ealing Common which is, let’s face it, just a fancy name for West Acton. My Podvarak. Typical of all peasant food by making a little protein go a long way by bulking it up with cabbage. I approve! More pork. 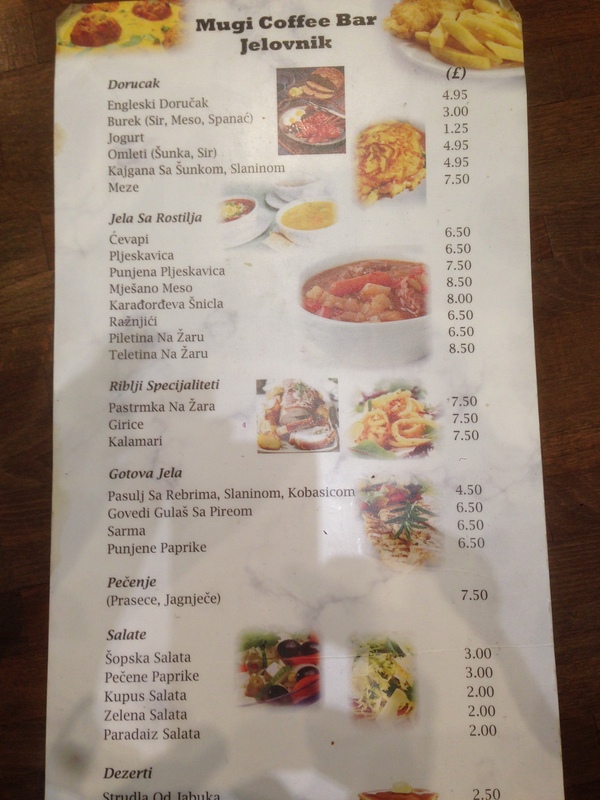 The Balkans are a pork based culture (also phrasing that could describe a weeping chancre lingering on my inner thigh). A menu so long that I frigged up including the desserts. Or “Dezerti” in Serbian. God I love foreign languages and their much more liberal use of the letter ‘Z’. Why are we British so parsimonious with what we can all agree is the best letter. I’m taking a photograph of the inside of a cafe and Mrs Del Monte is posing for the album cover for her collection of 80’s ballads. Trust me: that sax is liquid gold. Cafe | Bar | Deli … wait what? Bar? But there was no booze on offer. I could have real gone for a tall, cool [insert Serbian beer name here].